WAUKESHA, WI (September 10, 2013) – Medical Technology Management Institute (MTMI), the industry leader in live continuing education seminars, training courses and webinars for radiologic technologists and diagnostic medical physicists announced today that it has acquired Achieving Quality Imaging (AQI). AQI specializes in mammography training providing high quality hands-on training to radiologic technologists throughout the United States. Founded in 1995 by Ms. Kathy DeGelder; AQI has taught thousands of radiologic technologists the skills necessary to provide mammography procedures, and satisfy the training requirements of the Mammography Quality Standards Act (MQSA). This acquisition positions AQI to continue to provide this critical mammography training and an opportunity to expand its offerings into other areas of diagnostic imaging for women. In addition to the initial mammography training AQI will develop continuing education programs in breast imaging for radiologists, sonographers and other health care professionals. MTMI, a continuing education division of Herzing University, provides quality continuing education and training for medical professionals to earn continuing education credit, expand their skills and cross-train in other disciplines. The company’s highly respected seminars, cross-training courses, webinars and home study materials are prepared and presented by experts throughout the United States and Canada in convenient classroom, webinar and simulcast formats. MTMI seminars provide continuing education credits for physicians (ACCME), physician assistants (AAPA), nurse practitioners (AANP), medical dosimetrists (MDCB), radiologic technologists (Category A and SDMS) and physicists (CAMPEP). Founded in 1989 and headquartered in Waukesha, Wisconsin, MTMI is now a continuing education division of Herzing University. More information and current course schedules can be found at www.mtmi.net or call 800-765-6864. 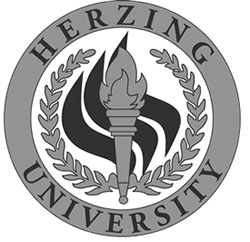 Herzing University encompasses 11 campuses in eight states, a continuing education division, plus Herzing University Online. Founded in Milwaukee, Wis. in 1965, today the University offers career-focused, convenient and caring education for master’s, bachelor’s, and associate degrees, diplomas and continuing education in the fields of technology, business, healthcare, design and public safety. U.S. News & World Report ranked Herzing University as one of the “Best Online Bachelor’s Degree Programs” nationally for 2013. Herzing University has the distinction of being the only woman-owned accredited university in the United States and is WBE-certified by the National Woman Business Owners Corporation (NWBOC). It also has been recognized as a member of the 2013 GI Jobs magazine list of “Military Friendly Schools.” The university provides education to approximately 6,000 students per year. Herzing University is accredited by The Higher Learning Commission and is a member of the North Central Association; www.ncahlc.org or (800) 621-7440. More information about Herzing University is available at: www.herzing.edu.